Franklin D. Roosevelt once said that ‘the science of human relationships’—the cornerstone of peace—is essential for humanity’s survival. Now living over nine thousand kilometres from his hometown of Koshigaya, in the prefecture of Saitama, Japan, Yuto Kataoka is following Roosevelt’s advice for people to share cultures, languages, and lifestyles. 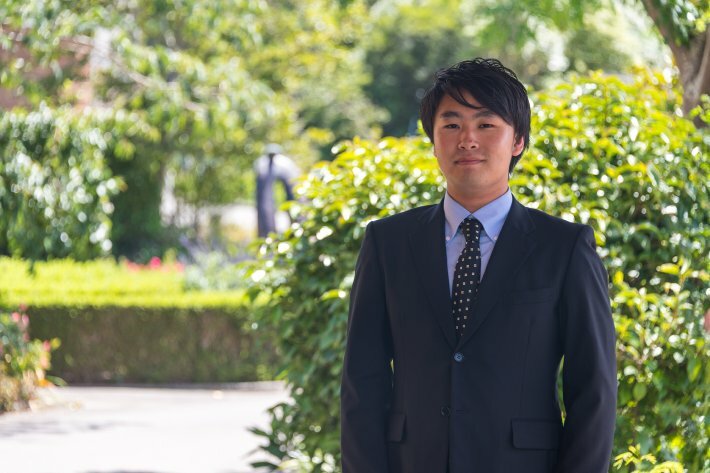 Yuto is an exchange student from International Pacific University (IPU) in Okayama, Japan who has spent the past eleven months studying at IPU New Zealand in Palmerston North. So far during his exchange year, Yuto has been completing Level 1 to 3 New Zealand Certificates in English Language, whilst playing the tuba with the Palmerston North Brass Band. Along with 46 other IPU Japan exchange students, Yuto will be returning to Okayama in March so he can continue studying for a degree in teaching English as a foreign language to secondary school students. He says he and his friends will be sad to leave IPU New Zealand, but they are looking forward to welcoming 19 IPU New Zealand students, who will arrive for a three-week exchange at IPU Japan, next month. Dean of the English Language Studies programme at IPU New Zealand, Brendon Chapple, notes that the institution has been hosting IPU Japan exchange students since 2012. “IPU Japan students enhance the cultural diversity of Palmerston North. IPU New Zealand has also benefited from their enthusiastic participation in classroom and community activities,” he says.